The admissions committee evaluates both the GRE and GMAT scores equally. While we do not have an average GRE score for our accepted applicants to share with you, you may use the conversion tool available through this website to know how your GRE score converts to a GMAT score. As mentioned earlier, both scores are evaluated equally. However, some applicants find it helpful to do the conversion to gain a better understanding of where they stand with our average GMAT scores that are available on our class profile website. Yes, we accept GRE scores as well. The ETS code to report the score to INSEAD is 0970 and the score is valid for five years. In order to be competitive, you should aim to achieve a score at or above the 80th percentiles in both the quantitative and verbal sections. Please keep in mind, however, that the GRE is just one of several admission criteria. A high score does not guarantee admission, and a below average score does not eliminate a candidate. We do not have preferences for the GMAT or GRE. You can sit the one you prefer. You will need to get 65th percentile in both the verbal and quantitative sections. We do not have an average score from last year as we started to accept this exam only 2 years ago. But do not worry, we absolutely make no difference between the two. No, we do not prefer one test over the other. While most of our students do well, we do not publish our GRE statistics. The reason for this is that the GRE has only been accepted for a few years and only a small number of students take the GRE, so the information we have is statistically irrelevant. CBS will accept both GMAT and GRE scores. We do not have a preference for one test over the other. Scores must be valid on the date of application submission. Additionally, we do not have any GRE information available in our class profile because we just started accepting it for admission to our MBA program. You can send in the test of your choice. We do not have a preference. 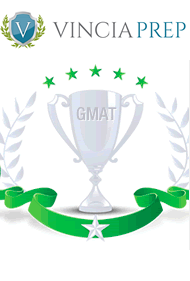 No preference between GMAT and GRE. We don’t calculate average GRE of entering class. The GMAT is no longer the only accepted test for the part time MBA program, but we only accept the GMAT for the full time MBA program. You must take one of these tests prior to submitting your application. They are important world wide standardised tools that we use to gauge a number of things in regards to your suitability for the programme.